How to Identify and solve Common Sewing Machine Problems? 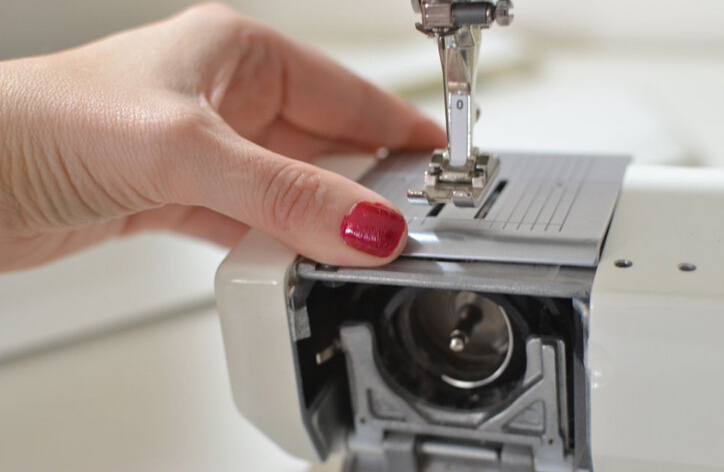 Home > News > How to Identify and solve Common Sewing Machine Problems? The Sewing Machine has emerged as one of the most important inventions made by man. Rivaling such greats as the cotton gin, it propelled humans years into advancement by making light work of the laborious act of sewing, bringing down the cost of garments, and providing means to make a living. Like all machines, however, the sewing machine is not without faults. Regular wear and tear, careless maintenance and defective components can create problems that aren't impossible to fix or overly expensive to repair, but can hamper efficiency and increase the time taken to sew. This last factor can translate into big loss of profit if the machine is used by professional seamstresses or by large factories. Over time and sometimes with new machines, users experience a malfunction where the machine doesn't sew smoothly - looping thread, for example - and leaves a mess to clean up. As frustrating as it is, the problem is easy to solve. Check the bobbin. Is the thread looped smoothly and evenly? When threading, always put the presser foot up and place it down when you finish threading. The act of threading itself can vary depending on the machine's model and consulting the manual is the best solution. If you don't have one, make sure that thread is fed into the machine by passing through every thread guide. The wrong machine needle can also cause looping thread. Even a well-chosen needle can be affected if used on the wrong fabric. Always make sure to use the right needles for the right fabric and only quality threads meant for sewing machines. If it seems like no amount of changing needles can guarantee a strong one, you might be hampering the job of the feed dog. That's the row of toothed metal bars on the needle plate. The feed dog pulls fabric up to the plate so that the needle can make stitches. If you're guilty of forcing fabric under the presser foot instead of waiting for the feed dog to do its work, tension is applied to the needle and causes it to bend, break or make unnatural sounds. Guide the fabric rather than force it. If you need to change the direction of the stitch, release the presser foot, shift the fabric, place it neatly, put down the presser foot and resume sewing. Skipped stitches can be frustrating especially if you're in a hurry. The problem doesn't lie with the machine, though; you're very likely using the wrong needle. Needles are cheap and easy to find. To know which needles your machine supports, check with the manual. Sizes may be indicated using European or American standards. Once you find out which needles it complements, you shouldn't face the same problem. Where thread breaks decides where the problem lies. For upper thread breakage, the fault may lie with the quality of the thread, a jagged or rusted needle plate, forcing fabric through the feed dog, incorrect needle size or threading. Meanwhile, lower thread breaks are usually the result of a too-tight bobbin case and many of the reasons mentioned earlier. Addressing these minor but frustrating problems will greatly cut back on repair costs and leave you free to sew. Be sure to impart your newfound knowledge to your peers!